Malaysia is my favourite destination to travel with kids. The people are so friendly and welcoming of children that it is hard not to warm up to this country. You can check out all our posts about Malaysia in our Malaysia travel blog below. It is easy to travel around Malaysia. Many signs are in English and many people speak English as well. We really had no dramas, whether we were catching a long distance bus or a taxi down the road. 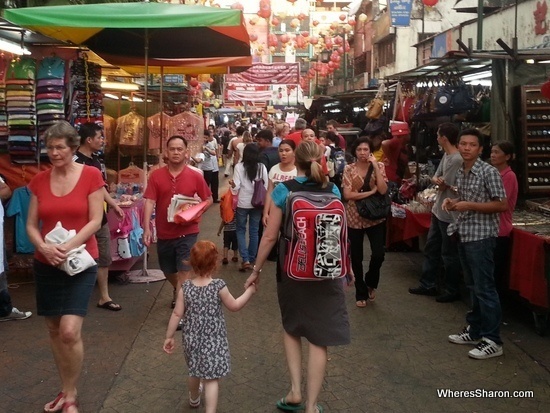 It is cheap (and more importantly, great value), there is a great cultural mix, lots of great food and there are many things to do in Malaysia with family. The other big plus is that travel to Malaysia can also be surprisingly cheap, especially if you live somewhere that Air Asia flies! We regularly pick up the 8 hour flight from Melbourne – Kuala Lumpur for about AUD$250 return per person which is amazingly cheap. I have paid as little as AUD$99 each way. Often it’s cheaper to buy two one way tickets if booking with Air Asia from Australia so this is worth a try too. Travel within Malaysia can also be very cheap. Air Asia and other budget airlines often have sales and I have flown many places for only AUD$10 and we paid only $20 for the 4 of us to fly between Penang and Langkawi last year! Buses are also very good value and often a very high standard. If you are wondering where to bring kids for a holiday in Malaysia, there are so many choices! We have visited Kuala Lumpur, Penang, Langkawi, Johor Bahru, Port Dickson, Kuching, Cameron Highlands and many other places with kids. All are great destinations for a Malaysia family trip. 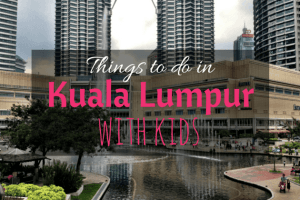 Everywhere has been great, but Kuala Lumpur is our pick for the best place for a family trip in Malaysia. We have just loved our stays here, partly because of staying in the fabulous Berjaya Times Square Hotel. It has great prices for apartments and has so many facilities as well as a massive shopping center underneath. Family travel really doesn’t get easier than this! It does highlight how much the right accommodation choice can affect everyone’s enjoyment. 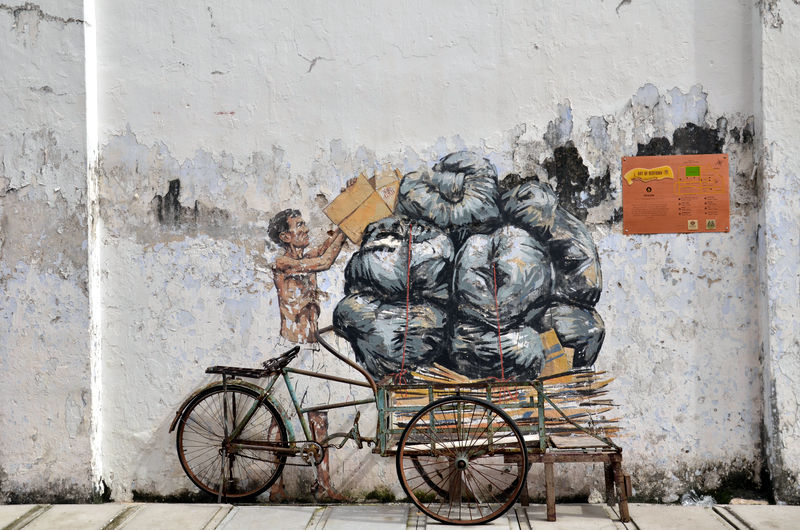 We also love Penang – we spent 6 months here on and off throughout 2015 and fell in love! We have many articles about Penang which you can read in our Penang trip blog here. You can also read our full review of the Lost World of Tambun theme park in Ipoh, Legoland Malaysia and Sunway Lagoon near Kuala Lumpur. We have travelled to many of the best places to visit in Malaysia with family including all the way over to Borneo. 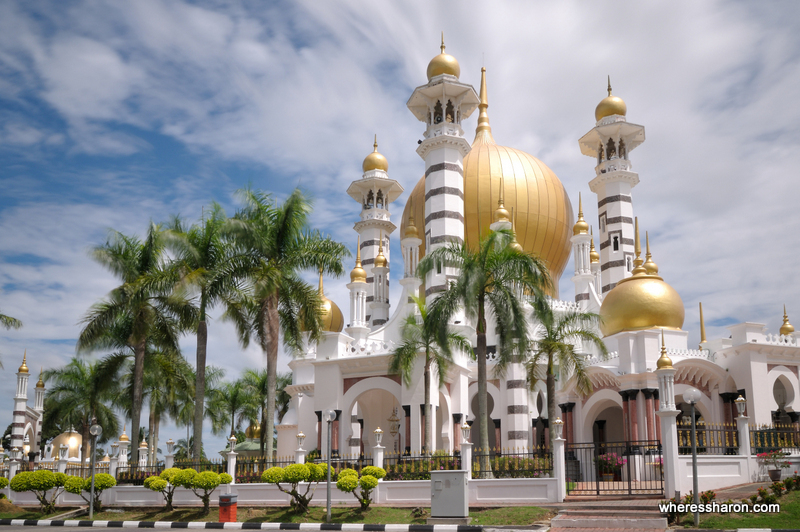 Many other destinations are also covered in our Malaysia trip blog. We love travelling in Malaysia with children and we have been many times – from our kids being 11 months old to the present. We loved spending an extended period of time here in 2015. Malaysia is an easy country to travel with kids as the average person went out of their way to help us. I would feel horrible when old ladies would get out of their seats on buses for us, but that’s how much people would want us to be comfortable. There are also many attractions aimed at families. Click here to download a PDF version of all our Malaysia guides! The food is fabulous, and we had no problems finding something yummy, nutritious and good for all of us to eat. At hawker stands there wouldn’t be a high chair, but at other places there usually was. Baby stuff is easy to find. Kuala Lumpur and Penang had plenty of nappies, baby food, formula etc. We used the pram a lot in Malaysia, although not every destination is stroller friendly. It was particularly useful at attractions aimed at families, like the aquarium and in shopping centers. We have tried out local doctors in Kuala Lumpur and Penang. They were all great and the whole service was cheaper, easier and more professional than at home. We also had experience with an obstetrician in Penang. It was all very positive. Legoland Malaysia and Thomas Town, Johor Bahru – These awesome big attractions are located in Johor Bahru just across the causeway from Singapore. You can’t go wrong with these Malaysia attractions for family. 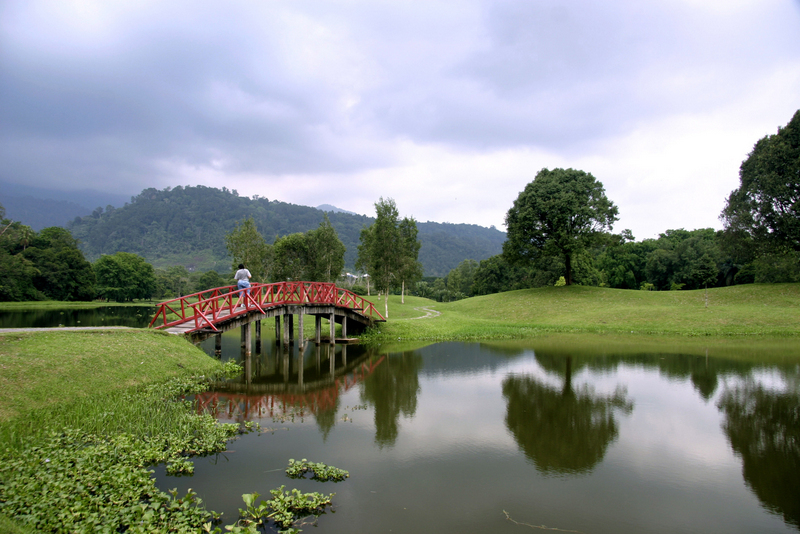 Thomas Town, in particular, is a great option if you are visiting Malaysia with toddlers. 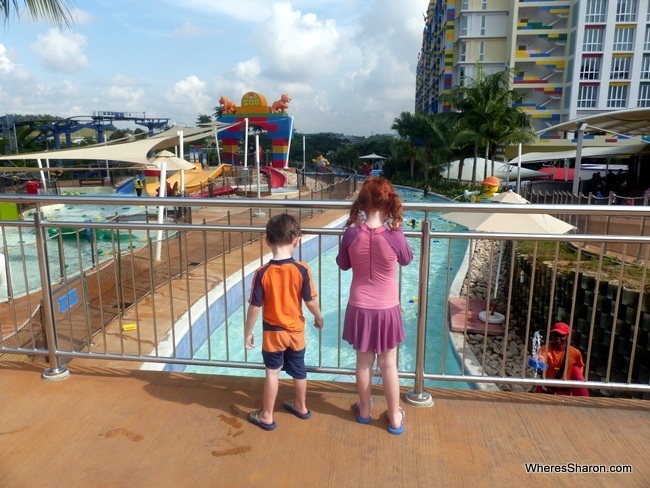 Read full reviews to Legoland Malaysia and Thomas Town and Hello Kitty Town. KLCC, Kuala Lumpur – This area of Kuala Lumpur is a perfect destination on a family trip to Malaysia. There are many attractions here including a massive free playground and water playground. There’s also a science museum, aquarium and the huge Petronas Towers. Read more in our Kuala Lumpur guide. KL Bird Park, Kuala Lumpur – I LOVE this bird park in Kuala Lumpur and it is definitely a best place to visit in Malaysia with family. It has the biggest walk in avairy in the world and is just fantastic to walk around. It’s nice being surrounded by so much green in this big city. There is more information about this in our Kuala Lumpur guide. 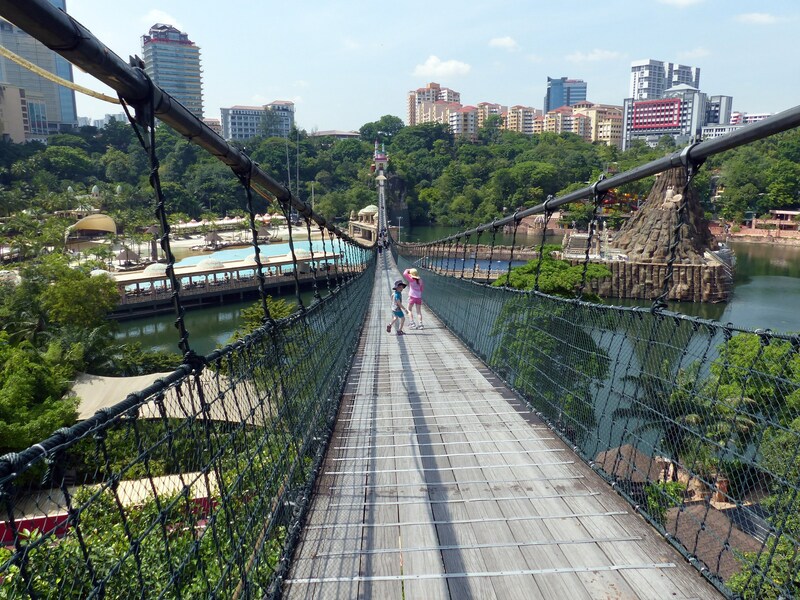 Sunway Lagoon, Petaling Jaya – This big theme park is located in Petaling Jaya – very close to KL and is one of the best places to visit in Malaysia with kids. There are many different sections including a new Nickelodeon themed and a wildlife park as well as more thrilling rides. Read the full review here. 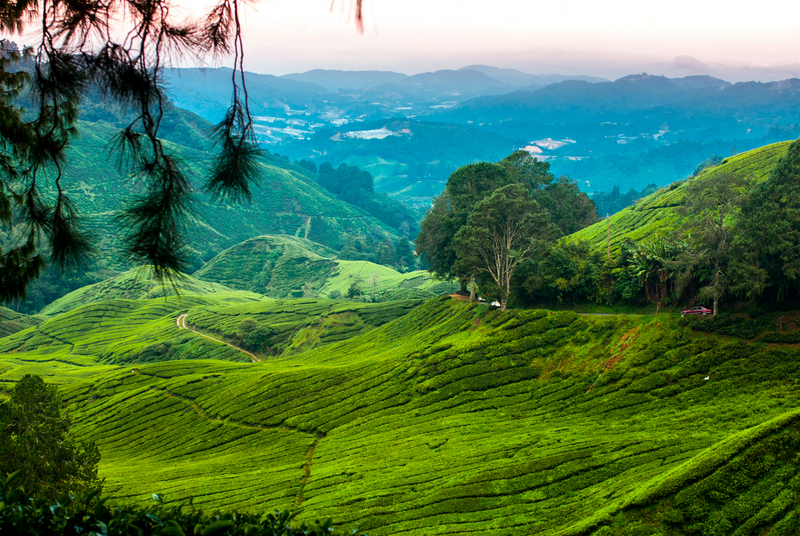 Cameron Highlands – Another of the great family holiday destinations in Malaysia is the Cameron Highlands. There are some great low key attractions in these hills which make for a lovely respite from the heat. You can visit tea plantations, strawberry farms, bee farm, butterfly house, go on some great hikes, learn about the indigenous people of the area and enjoy the outdoors. Read more in our full guide. 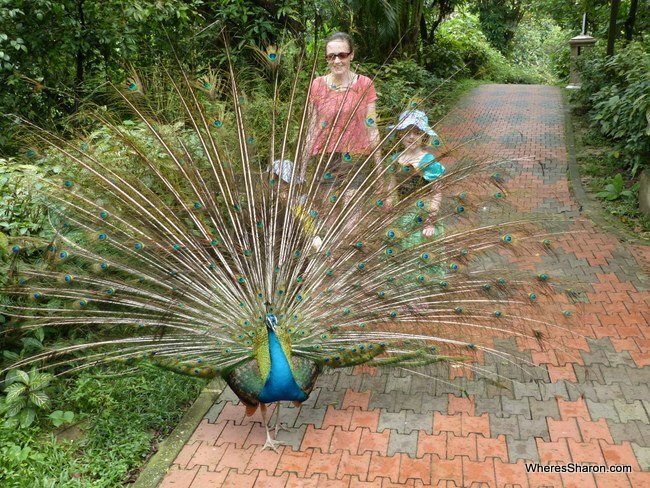 Langkawi – This beautiful island has a surprising amount of kids attractions in Malaysia. There is a good reason why many people travelling to Malaysia stop here! There are great beaches, wildlife parks, an aquarium, skycab and many water attrations among other things. 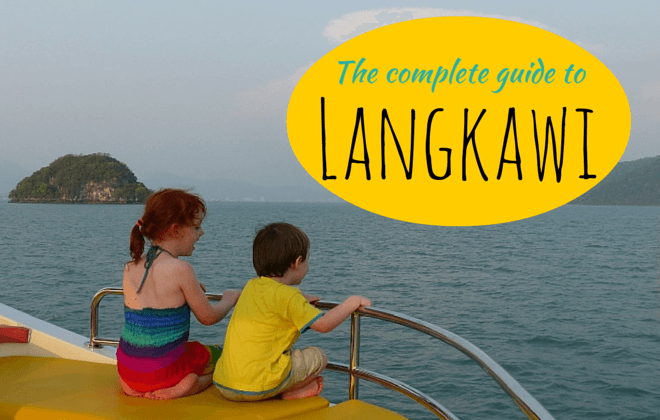 You can read our full guide to Langkawi here. Eat and play in Penang – Penang doesn’t really have any must see attractions, but I do think it’s one of the great places to visit in Malaysia for kids – although I may be biased as I love this place we called home in 2015. It has many places that are great to go with kids and some of the best food I have eaten anywhere! Read more in our full guide to Penang. Semenggoh Wildlife Centre, Kuching – Just outside of Kuching is this wildlife centre where you can see orangutans in the wild! When looking for fun things to do in Malaysia with kids this is a great choice especially if you couple it with Sarawak Cultural Village. 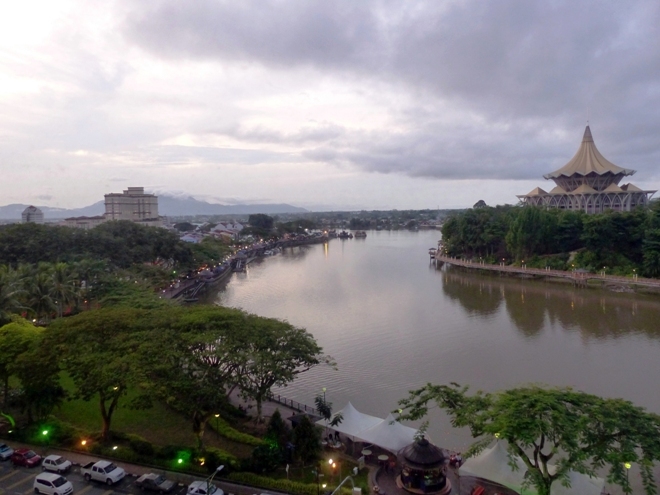 Read more in our guide to Kuching. Perhentian Islands – If you are looking for the best place for a family vacation in Malaysia where you just take it easy and relax on beautiful beaches, this is a great place to head! Berjaya Times Square Hotel in Kuala Lumpur – situated over a massive shopping centre with a crazy amount of facilities and apartments for rooms, this is hard to beat and is without a doubt, one of the best hotels in Malaysia for families – Check latest prices. Tune Hotel KLIA2 – simple hotel good for overnight stopovers in KL or you can pay for a three hour period to rest between flights (you need to book that on arrival) – Check latest prices – Read full review. Acapella Suites, Shah Alam – an incredibly good value hotel if you are looking for a handy location near the main road out of the Kuala Lumpur region. We stayed here on our way to Cameron Highlands and only have great things to say – Check latest prices. 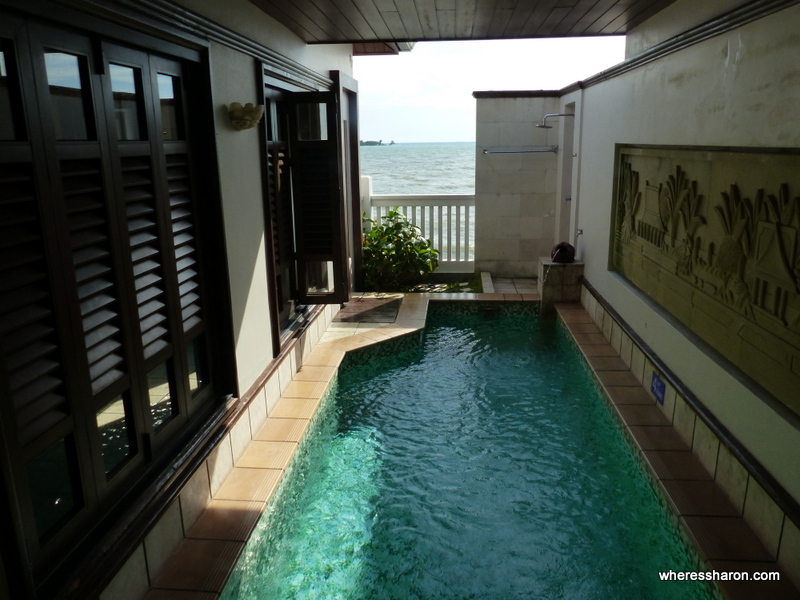 Avillion Port Dickson – our over the water chalet just a couple of hours from KL and an hour from the airport at this resort was heavenly – Check latest prices – Read full review. Resort Grand Lexis Port Dickson – fabulous over the water chalets complete with private pools and all for a great price – Check latest prices. Nova Highlands Resort and Residence, Cameron Highlands – this is a well located hotel in the lovely Cameron Highlands. There are a range of room types including three bedroom apartments – Check latest prices. Regalodge Ipoh – an excellent value hotel in a good position in Ipoh. There are a range of room types including family suites – Check latest prices. 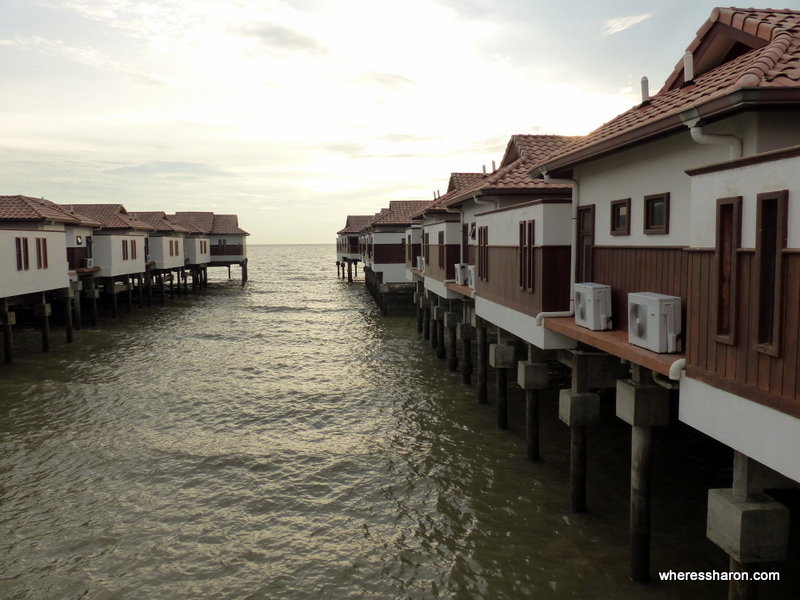 Golden Sands Resort, Batu Ferringhi, Penang – this resorts and its facilities just screams family fun. 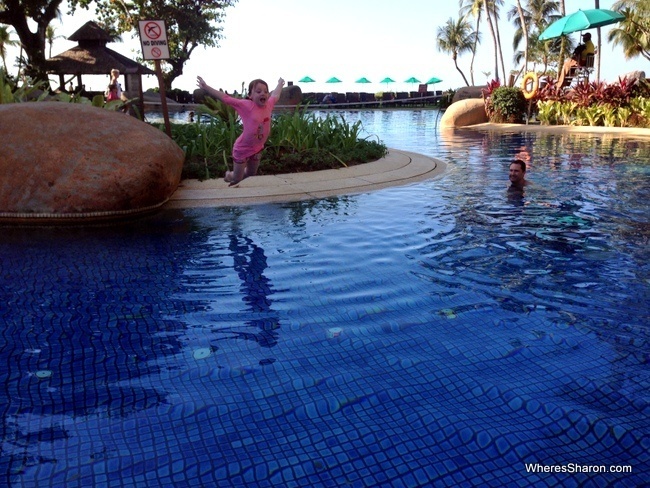 We absolutely loved our time here right on the beach and it’s our pick for best resort in Malaysia for family when in Penang – Check latest prices – Read full review. Shangri-La’s Rasa Sayang, Batu Ferringhi, Penang – this 5 star resort next door to the Golden Sands is just heavenly and the perfect choice for a Malaysia family resort or even just for couples. They have facilities and rooms just for adults too! – Check latest prices – Read full review. 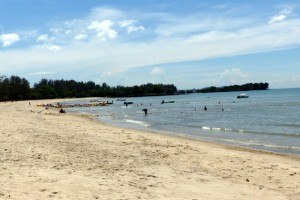 Holiday Inn Resort, Batu Ferringhi, Penang – lovely beach resort in Malaysia for families which has some fabulous family rooms – Check latest prices. Bayview Beach Resort, Batu Ferringhi, Penang – great value resort for families on a budget with many great facilities on the beach – Check latest prices. Cititel Hotel, Georgetown, Penang – located in a great spot in Georgetown – Check latest prices. Andaman Langkawi – A gorgeous resort located by a private beach in beautiful Langkawi. Excellent facilities, fabulous rooms, great kids club. 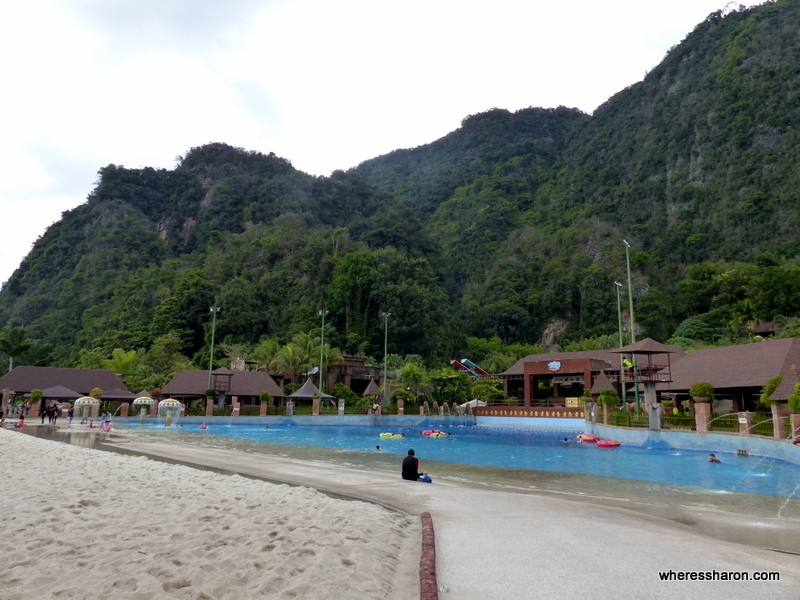 It’s our personal best family resort in Malaysia – Check latest prices – Read full review. 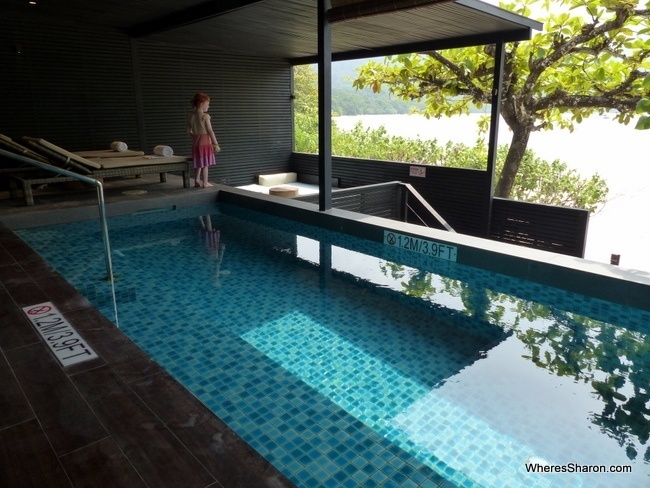 Adya Hotel, Langkawi – A great option for families on a budget in Kuah. Lovely pool area – Check latest prices. Grand Bluewave, Johor Bahru – a lovely big resort by the causeway to Singapore. Big apartment style rooms and a big pool were a hit – Check latest prices. Hotel Jen Puteri Harbour, Johor Bahru area – a fabulous 4 star hotel right on the water, opposite Thomas Town and Sanrio Hello Kitty Town and a 5 minute free shuttle from Legoland – Check latest prices. Hilton Kuching – a fantastic big hotel with many facilities and the best views of the beautiful Kuching riverfront of the Sarawak River. Big rooms available that worked well with our kids – Check latest prices. You can also read our full list of the best place to stay in Penang, best places to stay in Kuala Lumpur and best hotels in Port Dickson in our trip to Malaysia blog. 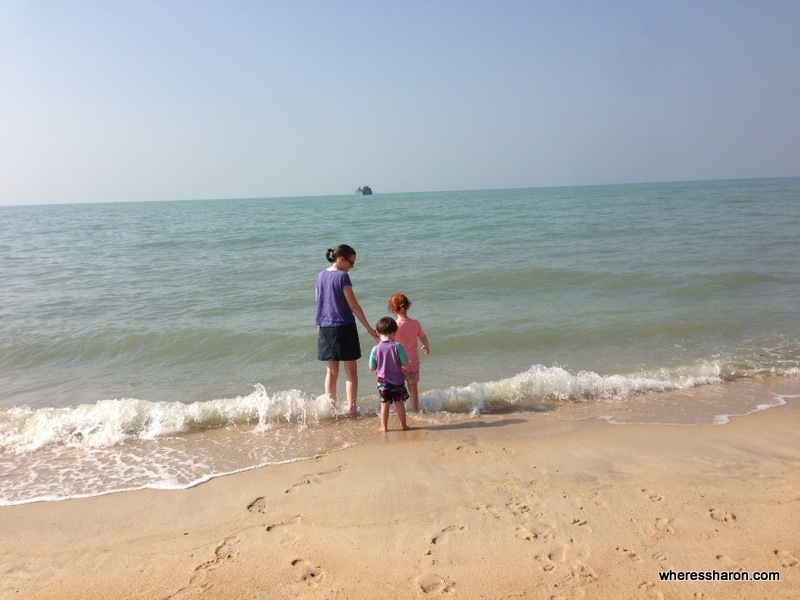 You can read more of our overall thoughts about Malaysia travel with kids on our Malaysia wrap up page. 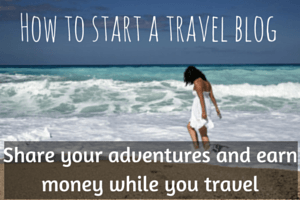 Enjoy our Malaysia travel blog. You can see all our our best travel blog Malaysia articles below… You may also want to check out our guides to Singapore.